I planted mint in my garden, not realizing that it would take over, so I’ve been searching around for great recipes using mint! This one makes a great side for any dinner. Mint is a functional food and provides many natural benefits. Because of the specific antioxidants in mint, it has been proven to relieve symptoms from seasonal allergies. Mint is a natural decongestant and is used to soothe sore throats and calm upset stomachs. It is thought that mint helps improve the flow of bile through the stomach to help speed and ease digestion. It is also used to treat discomfort related to Irritable Bowel Syndrome (IBS). When used as a topical oil, mint gives a cooling sensation and can relieve headaches and migraines. 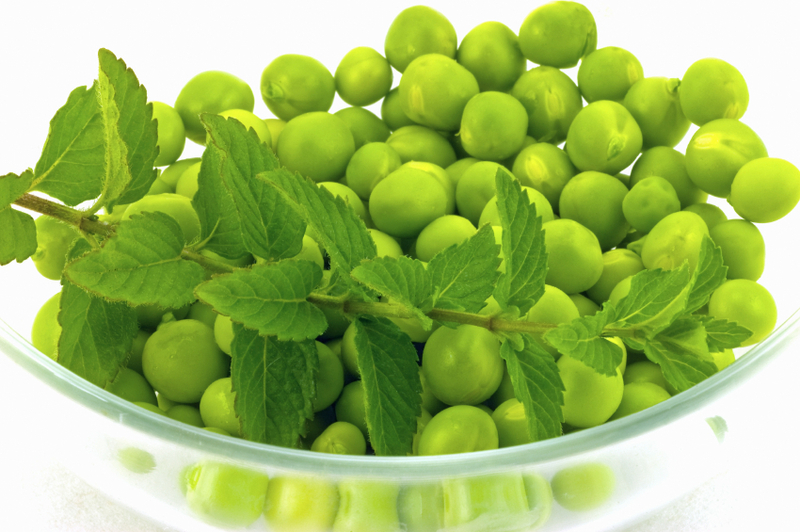 Some people may think of peas as a “starchy” vegetable. But they should not be avoided! They are packed with vitamins, minerals and antioxidants. They are a great source of Vitamins C, K, A and folate. Heat oil in a 12″ skillet over medium-high heat; add shallots, and cook, stirring often, until soft, about 4 minutes. Add peas, juice, and salt and pepper, and cook, stirring, until heated through, about 5 minutes. Remove from heat and stir in mint and orange peel before serving.